Release price guide: The Jimi Hendrix Classic Singles Collection on label with catalogue numnber 55578 1998, The United States. Jimi Hendrix Record Value Release price guide: The Jimi Hendrix Classic Singles Collection on label with catalogue numnber 55578 1998, The United States. 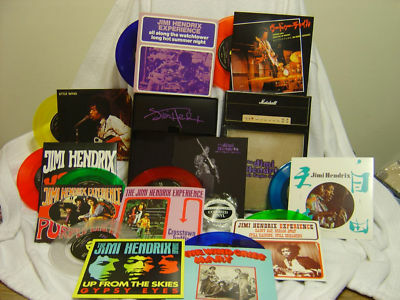 The Jimi Hendrix Classic Singles Collection is the collectable edition of title Purple HazeThe Wind Cries MaryAll Along the WatchtowerHey JoeCrosstown TrafficUp from the skiesVoodo ChileFreedomLittle WingRainy Day recorded by Jimi Hendrix Experience. 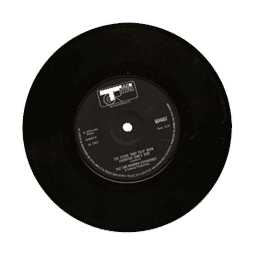 The record was published with catalogue number MCA 55578 1998. This pressing was released in The United States. This record was release on 1998-00-00. It was released as a collection-box and appeared on the MCA record label. The sleeve cover was designed by an unknown artist. Our auction results for 55578 1998 were last updated on 2019-04-13. Out of 19 auctions 5 items were sold. The best auction result was $26.44 On average $10.77 was the price paid for this record. Tommy Dorsey - The Complete 1937-38 Vol. VI - Bluebird 55578 .. New Sealed LP ! !